Hvilested Lystfiskersøer are natural lakes, located in a scenic terrain. Vester Nebel stream is running through the area. It is possible to stay in the area after opening hours and to set up a tent. One lake can be rented for events. Fish: Rainbow trout, sea trout, brown trout, tiger trout, golden trout, brook trout, eels, tench, perch and the species naturally in the lake. Facilities: Toilet, covered seatings, cleaning table, barbecue / fireplace, freezer. Angling for the disabled. Fishing license: Self service. 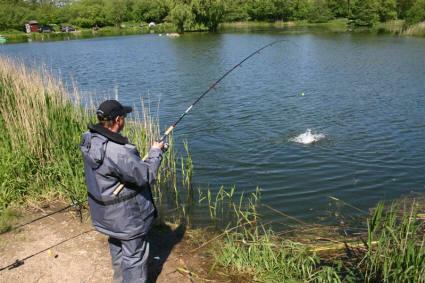 Cash or via MobilePay on 31684 (This license does not apply to fishing in the brook).